The C.A.R.E. Learning Centre is holding their annual graduation and prize-giving ceremony this afternoon [Nov 16]. We will have more information and a photo gallery later on, and in the meantime the live video is below; if you have any issues viewing it, please try watching it directly on Bernews Facebook page by clicking here. 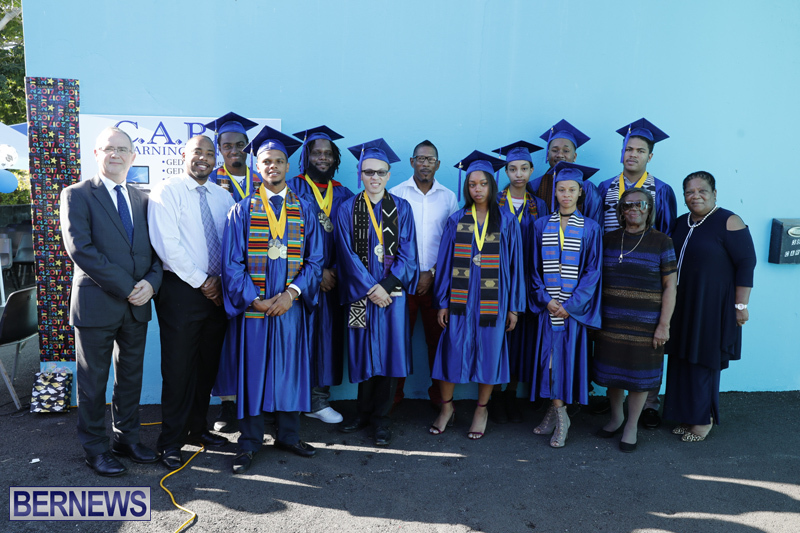 According to the programme, the graduates included Daneko D. Cann-Hayward, Mi’Kerah S. Moore, Amy E. Outerbridge, Olivia Outerbridge, Brian Philip, DonIra Philip-Rodriques, Dukarai L. Richardson-Burgess, Satashie Rogers, Charmaine J. Saltus-Seymour, Kyle A. Symons, Nakirah M. Trott, William C. Weldon, and Skye White.